The 2017 tax reform legislation added a new IRC section that now requires eligible terminated S corporations to take any Section 481(a) adjustment attributable to revocation of the S election into account ratably over a six-year period. Under newly released Revenue Procedure 2018-44, an eligible terminated S corporation is required to take a Section 481(a) adjustment ratably over six years beginning with the year of change if the corporation (1) is required to change from the cash method to accrual method and (2) makes the accounting method change for the C corporation’s first tax year. For more information on the rules governing S corporations that convert to C corporation status post-reform, visit Tax Facts Online and Read More. The IRS recently released new guidance on the rules governing association health plans (AHPs), which permit expanded access to these types of plans, and the Affordable Care Act (ACA) employer mandate. The guidance provides that determination of whether an employer is an applicable large employer subject to the shared responsibility provisions is not impacted by whether the employer offers coverage through an AHP. Participation in an AHP does not turn an employer into an applicable large employer if the employer has less than 50 employees. For more information on the employer mandate, visit Tax Facts Online and Read More. 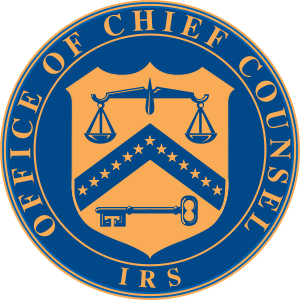 The IRS Office of Chief Counsel (OCC) released a memo explaining the tax consequences of a situation where the employer failed to include $10,000 of fringe benefits. The employer paid the FICA taxes associated with the benefits in 2018, although the benefits were provided in 2016. The guidance provides that the payment in 2018 did not create additional compensation for the employee in 2016. If the employer collects the amount of the employee portion of the FICA tax from the employee in 2018, the employer’s payment is not additional compensation. However, if the employer does not seek repayment, the payment of the employee’s portion is additional compensation. For more information on FICA tax issues in the employment benefit context, visit Tax Facts Online and Read More. The IRS recently ruled that an employer could amend its voluntary employees’ beneficiary association (VEBA) to provide health benefits for active employees in addition to retired employees without violating the tax benefit rule or incurring excise taxes. In this case, the VEBA provided health benefits for collectively bargained retired employees. When the VEBA became overfunded, the employer proposed transferring the excess assets into a subaccount for collectively bargained active employees. The IRS found that this proposed amendment would not violate the tax benefit rule because, the new purpose of providing health benefits to active employees under a collective bargaining agreement was not inconsistent with the employer’s earlier deduction. For more information on VEBAs, visit Tax Facts Online and Read More. Senior Director, Practical Insights Robert Bloink, J.D., LL.M. Senior Editor Alexis Long, J.D. Indexed variable annuities (IVAs) and structured annuities are two relatively new types of hybrid annuity products that are causing rampant confusion in today’s annuity marketplace. Used properly, these products can perform a significant role in a client’s portfolio, making it more important than ever to understand the nuances of these two annuity types. The investment options offered by IVAs and structured annuities are extremely varied — in terms of opportunities for both market participation and downside protection — making the issue of client suitability particularly important. Today’s clients are looking for a customized product. 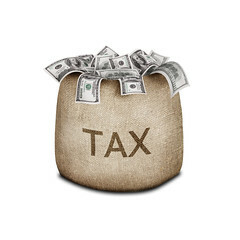 Because of the constant changes to the tax law, taxpayers are currently facing many questions connected to important issues such as healthcare, home office use, capital gains, investments, and whether an individual is considered an employee or a contractor. Financial advisors are continually looking for updated tax information that can help them provide the right answers to the right people at the right time. For over 110 years, National Underwriter has provided fast, clear, and authoritative answers to financial advisors pressing questions, and it does so in the convenient, timesaving, Q&A format. When it comes to retirement income planning for most clients, less is not more, and the contribution limits placed on traditional tax-preferred retirement vehicles have many of these clients searching for creative ways to ensure a comfortable retirement income level. Enter the health savings account (HSA), which, though traditionally intended to function as a savings account earmarked for medical expenses, can actually function as a powerful retirement income planning vehicle for clients looking to supplement their retirement savings. For the strategy to work, however, it is important that your clients understand the rules of the game, and the potential penalties that can derail the substantial tax benefits that an HSA can offer. Persistently low interest rates may have created a challenging environment for annuity carriers in recent years, but many clients remain deeply skeptical about the prospect of returning to the more volatile equity markets. Indexed variable annuities (IVAs), while developed to help insurance carriers manage risk more accurately, can represent the perfect solution for these market-shy clients. IVAs—known to some as structured annuities—offer clients an investment alternative that can provide the stability and many of the product offerings associated with annuity products but also the potential for participation in any equity market gains. However, they also offer substantial downside protection to cushion against potential investment losses. For your high net worth and upper middle class clients, Medicare planning has become a critical component of a well-executed retirement income plan. New rules put into effect under the Patient Protection and Affordable Care Act (PPACA) can impact these clients’ retirement income planning in ways they might not yet realize by increasing their Medicare premiums proportionally as income increases. The new rules will expand the pool of clients to which these monthly increases will apply. In today’s environment, it is more important than ever to consider Medicare premiums when planning for retirement expenses. When Clients Get Lump-Sum Pension Offers, What to Advise? Life Settlements — Are They Back? With the election behind us, it is time for your clients to turn their attention to the looming tax reforms that should take shape over the next two months, and how these reforms can affect their retirement planning. Both arms of Congress will be working to reach a compromise on tax code provisions as basic as income tax rates before Jan. 1, after which the Bush-era tax cuts will expire, and rates could revert to pre-2001 levels. Want some free marketing material for your annuities business? Look no further than the U.S. Government Accountability Office (GAO), which recently released a report touting annuities for their ability to provide retirement income sufficiency in an increasingly uncertain environment. The GAO recommends that retirees delay their receipt of Social Security Benefits and either draw down savings and purchase an annuity or select annuity options from their defined benefit (DB) plan instead of electing to receive their benefits in a lump sum. According to the GAO, the shift from defined benefit pension plans to defined contribution (DC) plans like 401(k)s necessitates a heightened focus on annuities and other options for guaranteeing income during retirement . And even if workers are saving more for retirement through their DC plans, they are still at greater risk than employees with DB pensions. For previous coverage of annuities in Advisor’s Journal, see How Much to Allocate to Annuities: A Critical Analysis (CC 11-109) & Drama Over the “Drawbacks” of Annuities (CC 11-62). For in-depth analysis of the taxation of annuities, see Advisor’s Main Library: A—Amounts Received As An Annuity & B—Amounts NOT Received As Annuities. Now more than ever, clients and potential clients are concerned about how they’re going to continue to enjoy the lifestyle they’ve grown accustomed to pre-retirement. Most clients are still looking for the same basic retirement advice from their advisors—advice on how to define and meet their retirement goals. Following the recent financial crisis, your affluent clients are more likely to gravitate to conservative investment strategies that will preserve their hard-earned principle. But many of them are not clear on the risks of that strategy—they aren’t aware of the opportunities they’re missing. You can help them reach the retirement they want and find the level of risk appropriate to their long-term goals. Here’s a breakdown of their values and priorities and how you can appeal to them. Read this complete analysis of the impact at AdvisorFX (sign up for a free trial subscription with full access to all of the planning libraries and client presentations if you are not already a subscriber). For previous coverage of high net worth investors in Advisor’s Journal, see High Net Worth Clients: How to Find Them, How to Service Them (CC 10-07). For in-depth analysis of investment planning for affluent clients, see Advisor’s Main Library: Investment Planning. Recently some wealth managers have established trustee services with regards to retirement accounts. It’s a good fit, generally, when the wealth manager can offer clients information regarding deductible contributions to a retirement account, and further act as a fiduciary vis-à-vis trustee of those funds. What are the basic requirements in order to act in the capacity as a trustee for IRA and other retirement account purposes? First, an Individual Retirement Account (IRA) must be a trust created or organized in the United States for the exclusive benefit of an individual or his beneficiaries. Such trust must be maintained at all times as a domestic trust in the United States. The instrument creating the trust must be in writing. President Obama’s tax compromise—the Tax Relief, Unemployment Insurance Reauthorization, and Job Creation Act of 2010 (Tax Relief Act)—includes a provision that permits qualified charitable distributions to be made directly from an individual retirement account. Generally, to make a charitable contribution from an IRA, the account owner has to take a distribution from the account, pay any tax due on the contribution, and then make the charitable contribution. An account owner can also name a charity as a beneficiary of the retirement account. Direct qualified charitable distributions take out the middle step, keeping the distribution out of the taxpayer’s taxable income … Read this complete analysis of the impact at AdvisorFX (sign up for a free trial subscription with full access to all of the planning libraries and client presentations if you are not already a subscriber). For previous coverage of individual retirement accounts in Advisor’s Journal, see Maximize IRA Stretch with Individual Inherited IRA Accounts (CC 10-69) and The Automatic IRA Act of 2010: Boon for Advisors? (CC 10-56). For in-depth analysis of individual retirement accounts, see Advisor’s Main Library: IRAs and SEPs. We invite your questions and comments by posting them in our blog AdvisorFYI or by calling the Panel of Experts. Why is this Topic Important to Wealth Managers? Provides analysis for those wealth managers who may be considering a Roth IRA conversion for their clients. Discusses potential benefits and detriments as well as comparative analysis. There is a lot of talk of Roth IRA roll-overs this year as 1) the AGI limit on conversions has been lifted, and 2) for conversions in 2010, the tax owed is required as income not in 2010, but rather half in 2011 and half in 2012. And the tax rates will remain stable and low for both these years – signed into law as part of the Obama Tax Cut Compromise (See rates for 2011 and 2012 here). On its face, many wealth managers have good reason to consider the conversion for their clients this year. But the question becomes, does it make sense, economically? The crux of the problem lies in the early withdrawal penalties on the IRA, which is 10% if the account owner takes a distribution before age 59 1/2 or past allowable annual distribution limits before age 70 1/2. Although IRS-approved retirement plans are intended to allow plan participants to sock away cash for retirement, some emergencies will permit a participant to withdraw plan funds prior to retirement—and there may be options to reduce or eliminate any tax due on the withdrawal. Serving as a great reminder of the general principals of emergency distributions, the IRS recently ruled whether a qualified plan was permitted to make “unforeseeable emergency distributions” in three fact scenarios. In the first, the plan participant wanted to take an emergency distribution to repair water damage to his home. In the second situation, the participant requested an emergency distribution to pay his nondependent son’s funeral expenses. In the third situation, the participant requested an emergency distribution to pay “accumulated credit card debt.” Read this complete article at AdvisorFX (sign up for a free trial subscription with full access to all of the planning libraries and client presentations if you are not already a subscriber).